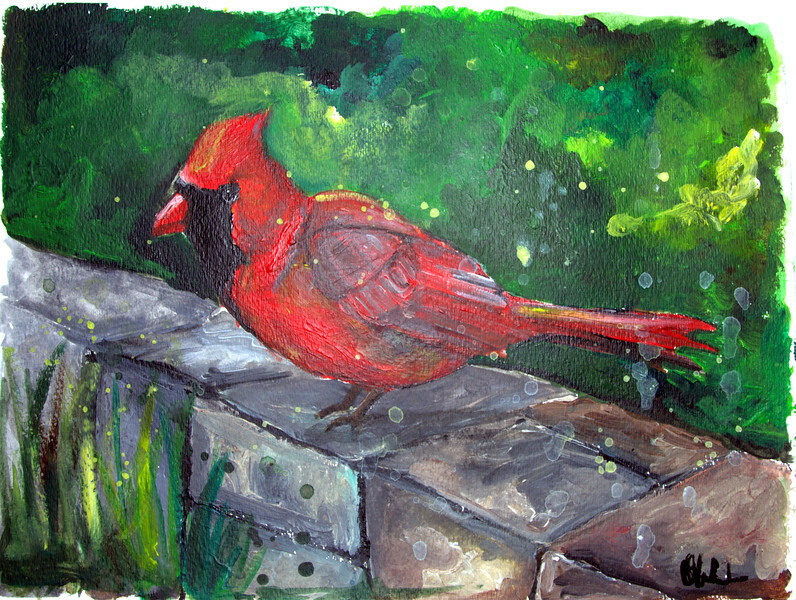 "Much like the pop of color red lipstick brings, the cardinal brightens up nature with their bright red coloring. The cardinal is a very recognizable and well loved bird, being the state bird for seven states. They are leaders of the songbirds, paralleling the Catholic leaders, named cardinals, whom they were named after. Cardinals brighten up mother nature's trees, and are sure to brighten the days of birdwatchers."